Located on the southern shore of Lake Winnipesaukee, the county-operated Gunstock dates back to a Great Depression recovery project. The area features long intermediate trails with great views. Management was requesting the bridge loan for snowmaking and lift maintenance. Skier visits were down 11% as compared to last winter. 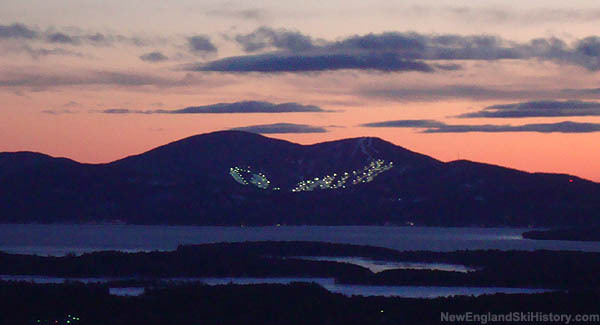 The County Delegation and the Gunstock Commission have been at odds over payments, debt. A state representative unsuccessfully attempted to fire the Gunstock Area Commission for non payment. A state representative is threatening legal action and the firing of the Gunstock Area Commission. $2.6 million attraction was originally projected for July 4 debut. Belknap County owned ski area needs short term loan to get through off season. Belknap County Commissioners have approved $2.6 million of new debt for the project.